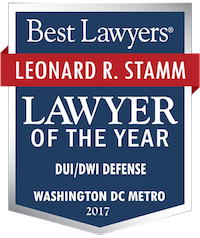 Alcohol/Drugs education and/or treatment Category Archives — Maryland DUI Lawyer Blog Published by Maryland DUI Attorneys — Goldstein & Stamm, P.A. On Thursday, the nation was transfixed as the Senate Judiciary Committee heard testimony from Dr. Christine Blasey Ford and Brett Kavanaugh. Kavanaugh has been accused of sexual assault by Ford and a number of other females when they were in high school and college. All of the complaints say that Kavanaugh was extremely inebriated at the time. However, when Kavanaugh was asked about his drinking habits he became very defensive and refused to answer the questions, although he did admit to on occasion drinking too much and liking beer. At all costs, he had to deny his alcoholism, if he suffered from it, because that would lead to questions of whether he drank to the extent of experiencing blackouts, a symptom of heavy drinking, where the person has no memory of their conduct while drunk. If he experienced blackouts, then his denials would be much less credible. Although the senators’ questions for the most part avoided touching on his alcoholism, it appears evident that his alcoholism or lack is central to the case. 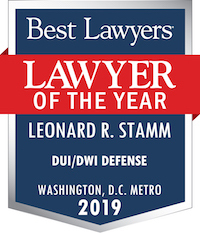 In drunk driving cases, all clients represented by attorney Leonard Stamm are referred to a program approved by the Maryland Department of Health and Mental Hygiene to determine if the client has a drinking problem and to receive an appropriate level of education and treatment. A directory of programs nationwide can be found here. Clients are assessed to determine if they have a drinking problem using a number of psychological screening tests. The most well known is probably the Michigan Alcohol Screening Test also known as the MAST test. Clients are give a score based on their answers. A higher score indicates a likely drinking problem. Other tests include the Alcohol Use Disorders Test or AUDIT test. If you are charged with a state or federal traffic or criminal case, call 301-345-0122 for a free consultation. The National College for DUI Defense (NCDD) just concluded its second annual Serious Science seminar Saturday in Ft. Collins, Colorado. Attended by 21 lawyer students, the five day seminar featured a day and a half of lectures by the nation’s leading experts on forensic blood alcohol testing, Jimmie Valentine, Ph.D., Carrie Valentine, Ph.D., Janine Arvizu, NCDD Regent Joe St. Louis, Patricia Sulik, Ph.D. and Robert Lantz, Ph. D., followed by a tour of a working forensic laboratory, Rocky Mountain Instrumental Laboratories. Rocky Mountain Instrumental Laboratories in Ft. Collins, Colorado, is run by Patricia Sulik, Ph.D. and Robert Lantz, Ph. D.
Trial skills are only part of being a force in the courtroom. The trial lawyers’ power originates from within. Knowledge of oneself gives the lawyer the capability to know others and to connect with each person in the courtroom including the witnesses, the judge and the jurors. The power of TLC’s methods come alive through creative, spontaneous, outside-the-box innovations that capture juries and move them to justice. Today the New York Times featured on its front page a story about a Baltimore woman who had to endure a $25,000 bond, numerous court appearances, a suspended drivers’ license, and 34 days in the Baltimore City Jail for a first offense DUI with a 0.09 BAC reading: On Probation Lives Can Run Far Off Track – A Maze of Fines, Court Dates and Penalties by Shaila Dewan. The judge assumed the defendant was a problem drinker without first getting an evaluation and ordered three AA meetings a week as well as required permission for her to move. Failure to request permission before attempting to move was the first alleged violation of probation. The failure to provide proof of all of the required AA meetings landed her in jail for 34 days with a $5000 bond she couldn’t afford, before she saw a judge. The judge gave her a conviction which led to a six month driver license suspension. The article quoted Leonard R. Stamm. For a woman of Mrs. Hall’s weight, assuming drinks were consumed over a four-hour period, the difference between 0.06, considered “neutral,” and 0.09 would have been about one glass of wine, according to Leonard R. Stamm, a Maryland defense lawyer who specializes in drunken-driving cases. Education and/or treatment for DUI defendants? Clients charged with drug or alcohol offenses frequently ask why we recommend they submit to an evaluation and take an education and/or treatment class if they are presumed to be innocent. Doesn’t that make it look like they are guilty? The answer is no. It makes it look like they are dealing with a potential problem responsibly. There are a number of good reasons why education and/or treatment is necessary when one is charged with a drug and/or alcohol offense. The first thing to consider is whether the person may be abusing the drug or alcohol that is the basis of the charges. If yes, then education or treatment may help to minimize the chance that the person will get in future trouble, as well as help them to cope with what could be a very challenging problem. The arrest is an intervention for many drug or alcohol abusers that forces them to confront an issue they might prefer to avoid confronting. It is not unusual for concerned family members to support attempts at getting treatment. A serious drug or alcohol problem can cause more than just legal problems, the health and well being of the client and his or her family or friends may be in jeopardy. Treatment can help.